Each year, thousands of people come through Camp Io-Dis-E-Ca’s gates. Most notably, in the summer, we’re host to hundreds of campers, providing them with Christ-centered education, recreation, and inspiration. It’s an exciting mission, and it doesn’t end there! 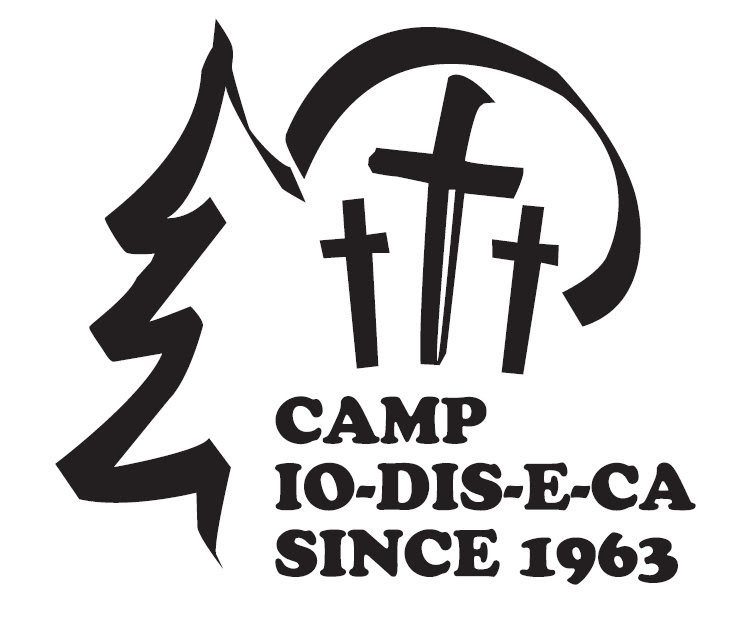 Though our primary mission is met through our summer camps, our mission is continually met when youth, families, congregations, parachurch organizations, and schools use Camp Io-Dis-E-Ca year-round for the same purpose. Whether it’s a week of summer camp, a relaxing weekend reuniting with family, or a productive and educational weekend retreat, time at camp can be refreshing, motivating, impactful, inspirational, and even life changing. If you believe that Camp Io-Dis-E-Ca can be these things for its guests, then you believe in camp. You believe that teaching the gospel of Jesus Christ to children is essential. You believe that Christian role models, such as our summer staff, can accomplish more good for campers’ lives than a summer of being glued to a screen. You believe that interactive, face-to-face friendships developed in a Christian atmosphere are so much more worthwhile than “friends” and “followers” online. You believe that time in God’s Word is an important part of life and living, and that while at camp, God’s Word can be learned thoroughly and applied to life beyond the camp’s gate. Today, we’re announcing a new way to think about supporting Camp Io-Dis-E-Ca called, I BELIEVE IN CAMP. We’ll still be keeping all of our traditional ways to support Camp Io-Dis-E-Ca, such as donating and volunteering, but rebranding the support we receive under I Believe in Camp. We’ll also be adding new ways for people to support Camp Io-Dis-E-Ca, and this time around we are announcing that we’re looking to secure monthly donations from individuals and households who believe in the mission of Camp Io-Dis-E-Ca and want it to succeed! Do you believe in camp? If yes, then I BELIEVE IN CAMP Monthly Giving is a new and important way you can support and grow the mission of Camp Io-Dis-E-Ca. The goal is to recruit 100 households by the end of 2018 to support Camp Io-Dis-E-Ca with at least $25 a month. How does this monthly support benefit Camp Io-Dis-E-Ca? Regular support ensures we have adequate funding in all of our key areas from staffing to facilities, and it allows us to not worry about financial resources but focus on our mission and providing a best-in-class experience. It also allows for us to recruit larger gifts for programs and projects that further and expand our mission opportunities, and improve our site and facilities. For example, with sufficient monthly giving in place, we can better dedicate this newsletter towards recruiting funds and volunteer support for improvement projects rather raising money to operate the camp. This also means that the dollars used to operate the camp won’t take a hit when we have a significant need or opportunity. There are opportunities on the horizon for Camp Io-Dis-E-Ca, especially as numbers for summer camp continue to grow. Regular monthly donations will help us to capitalize on these opportunities! Simply go to our website (www.campiodiseca.org) and click on the “Online Donations” link. If you have already used online registration for this year’s summer camp, you’ll still need to setup as a “New Donor”, but if you plug in the same information for your online summer camp registration it should link you to your existing user profile. If you’re new to our online system, you’ll need to set up a new login and password. Once you’re past that, click, “Schedule a Recurring Donation” in the Quick Access bar. From there, type in the monthly amount you wish to donate and select, “I Believe in Camp” as the campaign. Then go to checkout to enter your card payment information and select “Record Payment.” That should be it! Your donation will then come out on the day of the month you have selected. Be sure to see the video tutorial here if you need help! Do you believe in camp? Our supporters have shown time and time again that the answer is yes. Camp Io-Dis-E-Ca has been regularly supported with prayers, supplies, money, donations, volunteers, and most importantly, campers and guests! This is all thanks to people who believe in Camp Io-Dis-E-Ca. Whether you’ve been a camper or staff member in the past, a volunteer, a parent or grandparent, or have attended any other event on camp, please support Camp Io-Dis-E-Ca in this new way by becoming one of our monthly supporters. Thank you!